Sigung Moy Yat passed away on January 23, 2001. Time flies by so quickly. It’s been 12 years now. I still remember the day that I went to the funeral home in New York City ’s Chinatown to pay my respect. Sigung Moy Yat is one of Grandmaster Ip Man’s disciples that have made a tremendous contribution to the growth of Wing Chun overseas. Since Sigung Moy Yat left Hong Kong to teach Wing Chun in New York fairly early, so relatively few people in Taiwan , Hong Kong and China even heard about him.. Therefore, I decided to write this article to let more people know Sigung Moy Yat and his Kung Fu. Moy Yat was born 1938 in Canton , China . He moved to Hong Kong with his family in 1953. With the introduction of his friend, Moy Bing Wa, Moy Yat started his Wing Chun training with the Grandmaster Ip Man in 1957. By the age of 24, Moy Yat became the younger Sifu under Grandmaster Ip Man and opened up his own school in Hong Kong . 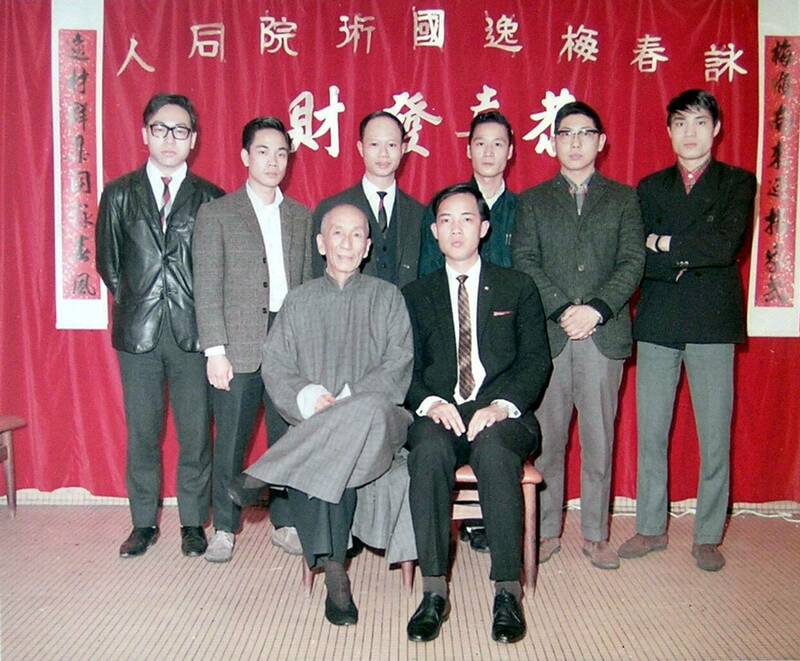 After the passing of Grandmaster Ip Man in 1973, Moy Yat emigrated to New York to start teaching Wing Chun. Besides Wing Chun, Moy Yat has a special talent for arts, specifically chop making and panting. As a matter of fact, besides being a founding member of the Ving Tsun Athletic Association in Hong Kong . He was also responsible for designing the logos and other artwork for the Association. He stared to do chop making because his Sifu Yip Man suggested him to carve the Wing Chun principles onto the chops. Moy Yat was also an author. 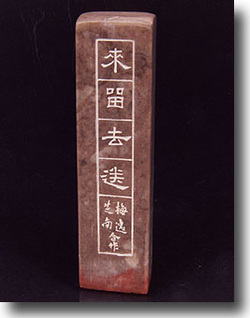 He published several Wing Chun books about three empty-hand forms, Wing Chun Pole and the Wooden Dummy. Moy Yat spent almost 40 years in teaching and promoting Wing Chun , Moy Yat lineage has thousands of students and grand students around the world. Three prominent students from the Hong Kong school era are Jeffery Chan, Sam Lau and Sunny Tan. Jeffery Chan was the Dai Shihing for that era. He was most famous for his Talking Hand/fighting skill. There was a story that he once defeated a opponent who had trained over 10 years in another Southern style Kung Fu with a Lop Daar shortly into their match. Jeffery Chan had only 3-month of Wing Chun training at that time. Sam Lau is the current Chairman of the Yip Man Athletic Association in Hong Kong . Sibak Sunny Tang is the National President of the Confederation of Canadian Wushu Organizations (Wushu Canada ), as well as a leading director for the Canadian National Wushu Team. My own Sifu, Master Micky Chan is Dai Sihing of the Moy Yat family in the US . On appearance, Sifu Mickey Chan looks more like a scholar than a martial artist. However, for those who have experienced his Wing Chun are all in awe with his skill. For many years, he had helped his Sifu in developing his younger Kung Fu brothers and sisters. 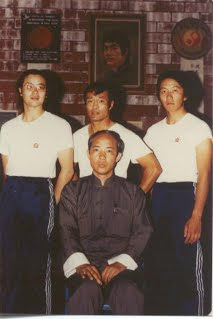 Even when I was still training under Sifu Mickey, there were several Kung Fu uncles, who were Sifus already and had their own schools, would come to Sifu Mickey’s school to train with us to improve their skill. Moy Yat also has students in various parts of the US and Latin America who all have their own very successful Wing Chun schools. Even Bruce Lee’s top student, Dan Inosanto, once studied Wing Chun under Moy Yat also. 1. I was fortunate to be able to meet Sibak Moy Bing Wah once. He is such warm and kind person who is alao very generous in sharing his Wing Chun knowledge. 2. Sam Lau studied Wing Chun first with Moy Yat in 1996. Later on he became a student of Grandmaster Yip Man.